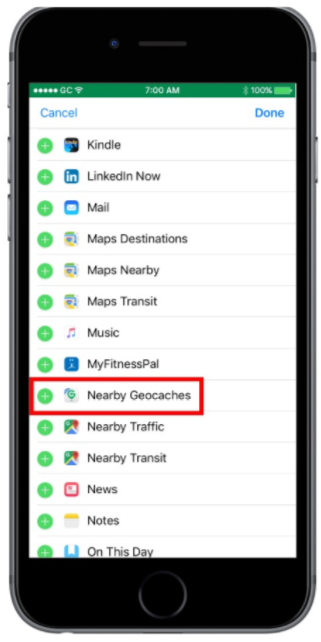 As part of the recent Geocaching® app 5.2 release, we introduced a “nearby geocaches” widget for iOS devices*. This feature allows you to quickly and easily see a list of nearby geocaches that you have not yet found. 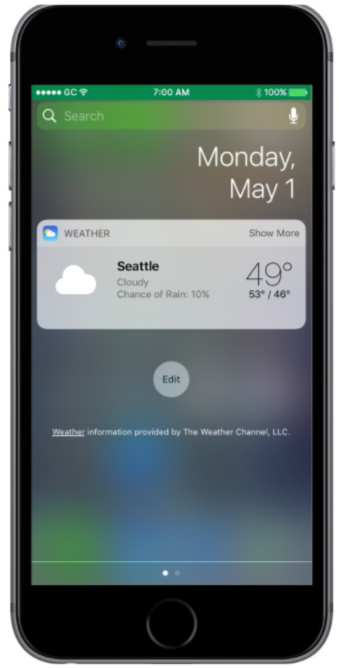 *Please note that you must have iOS 10 installed on your device to use Widgets, including the nearby geocaches widget. 1. Make sure you are logged into the Geocaching® App and go to your phone’s home screen. ​3. Scroll to the bottom and tap Edit. 5. Tap the plus button next to "Nearby Geocaches" and then tap "Done". Simply swipe to the Today View at any time to view the Nearby Geocaches widget!